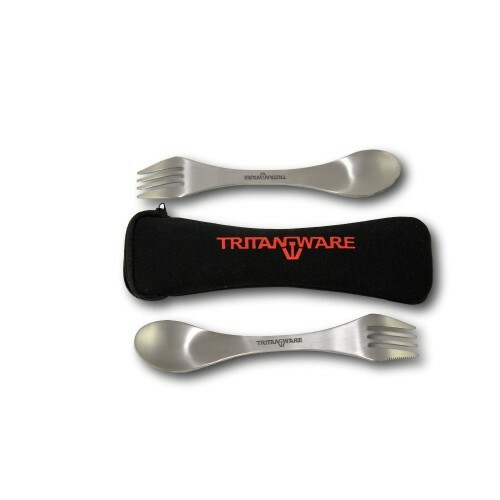 This case comes with 2, mini, pure titanium sporks that are great for camping, lazy meals on the couch, any type living in cramped corridors, and any type of traveling. Save yourself the hassle of constantly burning through plastic cutlery. They are so lightweight, you won't even notice them. They even come in a neoprene case which is water proof, and makes for great storage so you won't lose them.